In recent years, a lot of people in the winter haze intensifies, buy air purifier with spring, air quality is gradually improved, a lot of people think this guy is the close up, after all, is put in the home area, don’t worry, the air purifier now close up too early. PM2.5 is the main component of haze particles, because the harm to the human body, the removal of PM2.5 has become the primary objective of many people use air purifier, a measure of a good purifier are mainly depends on its ability in this area, but do not think that the air purifier can remove PM2.5 and air pollutants in a variety of PM2.5, just a in addition, formaldehyde, allergens and other health risks. In fact, in some European and American countries, even if the air quality is very good, the air purifier popularity rate is also high, this is because their air purifier is mainly used to remove pollen, large particles and smoke, TVOC and other domestic pollution gas, even outside the blue skies, the indoor pollutants are present, air the purifier can play a role at any time. After winter haze weather a lot less obvious, but this does not mean that we can relax our vigilance. From the AQI monitoring data in March of the Beijing daily, a total of 12 days in the mild and more severe pollution, pollution will still appear, so the weather on air purifier is very necessary. In addition according to the latest data from the Ministry of environmental protection, April 2nd to 5, Tianjin and the surrounding area will usher in a new round of pollution weather, the night of April 4th to 5, the most serious pollution, Beijing, Langfang and Baoding may be severe pollution, visible haze is a year-round concern. Indoor air purifier filter PM2.5 is really useful? Enter the market from the beginning of this air purifier, voices of doubt has jumped out of it in the end how to use effects? Please air purification expert Egisen for everyone to answer it. Air purification experts said Egisen, the main material of air purifier filter PM2.5 is HEPA filter, is to open the air purifier is seen as shutters like dense network, it can block PM2.5 in the air, so that the air filter can eliminate indoor smoke, dust and microorganisms and other pollutants. If long-term use of air purifier consumers should be able to feel the air quality significantly improved. The air purifier on the market mainstream is the passive adsorption filtration type. The working principle of passive air purifier is mainly used fan to draw air into the machine, and then filtered air through a built-in filter, to filter dust, eliminate odor, remove microbes and so on. Net type air purifier is the use of HEPA filters. Activated carbon filter, photocatalyst, ultraviolet disinfection method to clean up the air and HEPA filter filter dust particles, mainly activated carbon and other substances are toxic and harmful substances such as odor absorption. But the air purifier is used for a long time, particle filter attached to accumulate, not clean to use will cause two pollution. Suggestions about 3 months to check a filter, if found uneven color, dark yellow, should be replaced; if the air purifier wind blowing smell it should also consider replacing the filter. Customer service in the visit, we found that many consumers in order to save costs is not in accordance with the requirements for the filter, or occasionally to open up, so the air quality comparison and not intuitive understanding, it is difficult to affirm air purifiers use value. In fact, a high quality HEPA filter net price is about several hundred yuan (different brands and models vary), according to an average of 6 months of daily use cost accounting, HEPA only a few dollars, compared with our health, the number of absolutely not huge. Suggestions to keep better air quality consumers should be the long-term use of air purifier. Olansi China factory’s air purifier advantage:Material benefit, High purification (CADR-air flow), Low noise etc. We all know the harm to the body of haze, many people have chosen to wear masks, the family also bought an air purifier, but how do you really know? 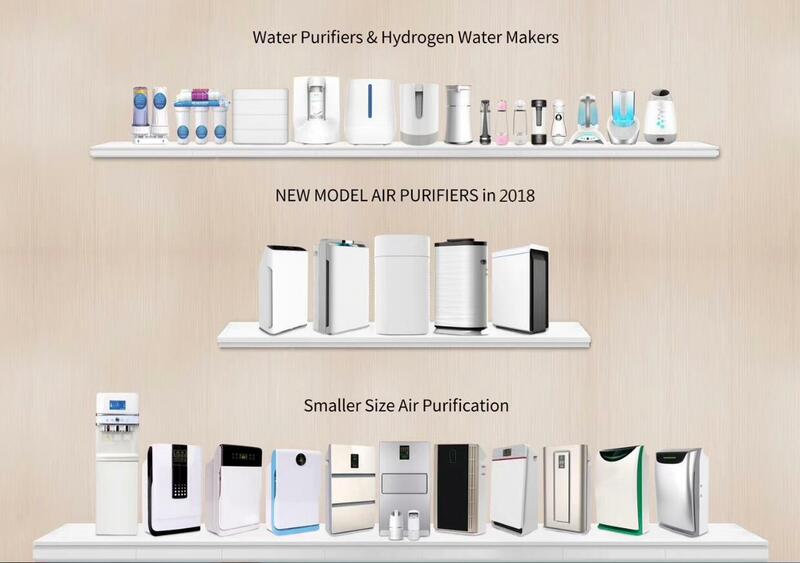 The price gap is so big, how to choose their own purifier? nd the cumulative amount of purified, these three values are greater, the noise index is as low as possible, the new national standard of “three high and one low” is like a ruler, you can choose in the purifier is heart. Find suitable for their own use cleaner space, a lot of people feel that the purifier is foreign monk chanted sutras, actually otherwise. Whether it is a mask or purifier, must choose their own, so that we can do to prevent haze barrier. Suggestion: olansi factory air purifiers as follows. Buy a small mask let many people worry about, buy air purifier is more complex, more let consumers make dizzy . In fact, the current air purifier on the market only two kinds, one is passive air purifier by physical absorption, the other is the price a little expensive, but can be active passive type air purifier directly kill bacteria and viruses in the air. The principle of passive air purifier is relatively simple, the fan will be polluted air suction machine, through the filter machine of suspended particles in the air, dust and other impurities after filtration, the release of relatively clean air. The core of this type of air purifier is a filter screen, roughly deodorizing filter, in addition to formaldehyde filter. HEPA filter, HEPA filter is the most expensive, the filtering effect is the best. However, the biggest drawback of this type of air purifier is the machine running noise, but also can not kill bacteria in the air, especially in the bedroom may have an impact on sleep. Active passive and active air purifier can kill bacteria and viruses in the air, different brands of the technology are completely different. However, consumers in the choice of air purifier, and look at some of the key technical indicators still can help you open your eyes. The air purifier Cadr value can easily be ignored, Cadr value is the clean air output ratio, which is the purchase of air purifier of the most important factors. In short, the Cadr value is within 1 hours of the air purifier room air circulation filter several times, the higher the value, then the higher the purifier purification performance. In addition, the purifier is to pay attention to CCM value. In March this year, the new air purifier GB introduced, clearly identifies multiple core parameters. Including the amount of clean air purification and cumulative amount (CCM value). The core of the filter purifier can really use a long time, is according to the CCM value.